In today’s enterprise environment, a disaster recovery plan has become more crucial than ever. A well-formulated business continuity strategy has turned into an important requirement to ensure that organizations can sustain their usual process in the occurrence of disruptive events such as service interruptions or crippling breaches and outages. In addition to data breaches, SMBs also face disruptions from inclement weather conditions such as hurricanes, winter storms, and earthquakes which further present the need for a successful Disaster Recovery plan in place. However, creating an effective DR plan isn’t without its fair share of challenges with organizations frequently running into concerns of heavy costs, insufficient information management, restoration complexities created by traditional backup and recovery methodologies and improperly tested DR plans, which in turn lead to an overall unreliable DR strategy. Furthermore, more and more organizations are moving their DR to the Cloud to adopt a cost-effective and reliable Disaster Recovery as a service (DRaaS) framework that can provide them with the required degree of expertise and infrastructure to create a robust disaster recovery plan. Coming to the aid of these organizations, Pune headquartered Sungard Availability Services endeavors to resolve the aforementioned challenges and help organizations construct effective DR strategies through bringing reliable and advanced Disaster Recovery, Business Continuity Management and Consulting services. Since its inception in 1978, Sungard Availability Services (AS) has been functioning as a provider of critical production and recovery services that are tailored to help global enterprise companies achieve their desired business outcomes. Leveraging a combined experience of over 30 years, Sungard AS designs builds and runs critical IT services to aid its customers in managing complex IT operations, adapting quickly to different environments and building resiliency and availability. The company, since 2014, has focused extensively on offering tiered Cloud-based recovery services, to allow organizations to balance cost with criticality. “Sungard AS follows an approach that involves linking production offices, recovery centers, and cloud environments together through our global production and recovery networks. We then overlay layers of automation tools with the expertise of our skilled people to deliver a complete recovery solution regardless of the type of environment that needs to be recovered. Our India operation and engineering function support global delivery round the clock with resilience built into them, and this is where our expertise becomes relevant. Sungard Availability Services now has over 900 dedicated professionals in India. 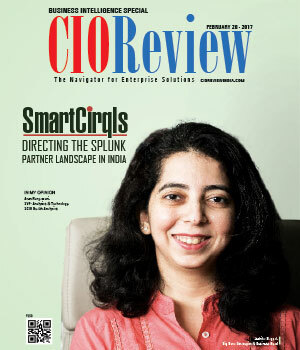 Included within this are those in offshore delivery centers, located in Pune and Bangalore, that supports R&D and delivery of complex managed IT, Cloud and recovery services to Sungard AS’s global customer base in North America, Europe and India. 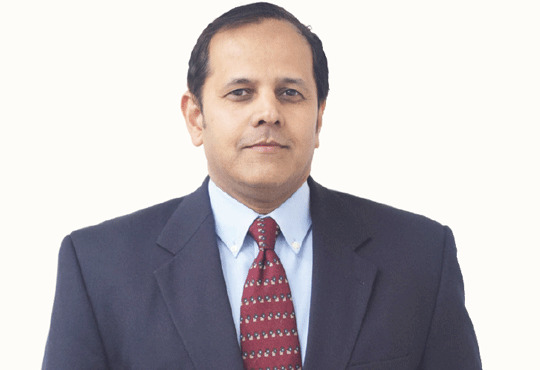 “ explains Nitin Kothavale, Vice President, and Country Manager, Sungard Availability Services. The company’s expansive portfolio of offerings includes Business Continuity, Cloud Services; Disaster Recovery-Cloud-based recovery and Systems &Data Recovery, Disaster Recovery as a Service (DRaaS), Application Management and Application Cloud Services, Hosting Services, IT consulting, and Security & Compliance services. With over 30 years of experience in Disaster Recovery, Sungard AS combines the speed, scalability and cost efficiency of the cloud with its infrastructure and application management proficiency to equip businesses with Recovery and Business Continuity services. Sungard Availability Services enables Workplace Recovery (WR) through a suite of solutions that includes Recovery as a Service, Business Continuity Management software, and Consulting. The company offers 2,301 end-user positions, fully equipped with technology and communications, at 4 highly resilient sites to support customers on a 24/7 basis. These sites are built to support multiple simultaneous customer invocations while meeting international InfoSec and safety standards that are required by multinational corporations. As a part of its recovery suite, Sungard AS offers Disaster Recovery as a Service (DRaaS) solutions that adopt a holistic approach towards business resiliency to provide data protection and complete recovery of the environment. Leveraging over 35 years of expertise in IT recovery practices, Sungard AS’ Disaster Recovery as a Service (DRaaS) solutions are designed to be both flexible and scalable enough to work with complex, hybrid systems (cloud & on-premise), as well as scale up and down based on the user’s needs, thus addressing a full range of recovery time and recovery point objectives (RTOs/RPOs). Sungard AS also experiences a strong demand for its Managed Recovery Program (MRP), in which the company takes complete responsibility of the entire recovery process and offers an SLA-backed commitment to its customers. With almost 70% of global recovery executions failing today, the idea of MRP was born to address the grievance of organizations that repeatedly grapple with the processes of testing and recovery. Acknowledging that most problems arise from recovery plans being out of sync with the production environment due to persistent and often undocumented systems and organizational change, Sungard AS devised the Managed Recovery Program to equip enterprises with a comprehensive, compliant and effective testing and data recovery framework. The MRP takes a methodical approach to a customer’s recovery with a comprehensive scope that includes discovery of the customer’s production environment and application dependencies, recovery strategy, and plan design, ‘at time of test or disaster’ recovery execution and on-going lifecycle management. 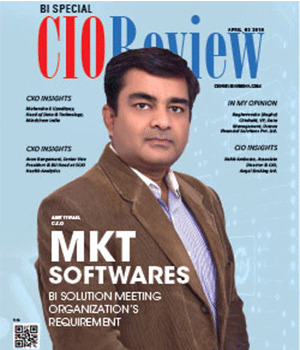 “The complexity of today’s IT environments means that Sungard AS’ MRP is meeting a real need,” affirms Vineet Srivastava, Director & Head Sales- India, Sungard AS. “By assuming responsibility for the entire process, Sungard AS eliminates the pain traditionally associated with testing and recovery and gives customers the assurance of a contractually guaranteed recovery time,” he goes on to add. Demonstrating the dire need for an optimum Managed Recovery service in place, Sungard’s MRP has been adopted by ten multinational companies in the banking, insurance, manufacturing and retail sectors that currently subscribe to the program. The company has also received extensive acknowledgments from major research firms such as Gartner and Forrester for its Disaster Recovery and Business Continuity services. Having been measured for its ability to provide and execute DRaaS offerings that can meet customer requirements with a high level of service and customer support, Sungard was included by Gartner in the Leader position of its Magic Quadrant for Disaster Recovery as a Service (DRaaS), for the third consecutive year. The company has also been cited by Gartner as one of the industry players with significant domain expertise, global capabilities, a focus on DRaaS as a standalone offering, and industry-leading vision, with respect to meeting the needs of its intended target customer segments. Reputed research firm Forrester has also included Sungard in its list of the Ten Most Significant Disaster Recovery as a Service (DRaaS) providers for its wide range of physical and virtual infrastructure and business continuity services. While Business Continuity Planning (BCP) is imperative for the sustainability of any business, Business continuity programs are often fraught with difficulties ranging from a lack of documentation and an inability to contact people in the event of a crisis to a lack of complete organization-wide engagement. These concerns can impose barriers between crisis management, incident response, planning, IT, HR and other departments which in turn negatively impacts business continuity and business resiliency. Sungard AS endeavors to resolve these issues with its AssuranceCM software that has been created to enable end-to-end business continuity planning and drive better collaboration within organizations. Designed by users and for users, Sungard AS' AssuranceCM business continuity management software is highly user-friendly and social media friendly and works to break down the barriers between departments, thereby helping companies create an end-to-end business continuity program. Business impact analysis (BIA), incident management, disaster recovery planning and reporting, and emergency notification are some of the capabilities that are provided in this single holistic solution. Built on the three fundamental concepts of Engagement, Effectiveness and Awareness, AssuranceCM helps organisations achieve better business outcomes such as lower risk and improved resilience, integration of compliance requirements and best practices into business continuity plans, replacement of legacy business continuity solutions that are static and unwieldy and creating a more engagement-oriented culture in the business continuity process. Having operated in this domain for over three decades, Sungard Availability Services has grown to be a trusted solutions provider in this domain and has procured an esteemed clientele that includes banks, insurance, manufacturing and retail companies. The company has also been lauded for its services in the DRaaS and Business Continuity domains and has been awarded a position in several prestigious lists across the country. 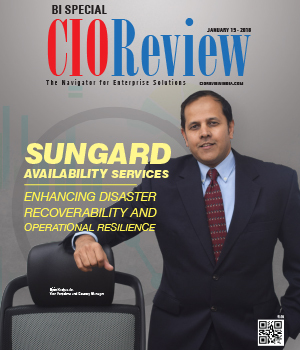 Leveraging this expertise, Sungard AS hopes to further expand its presence across the country and bring more solutions to guide businesses to successful operational resilience and improved recoverability in the years to come.